Art + beer = a great combination, right? 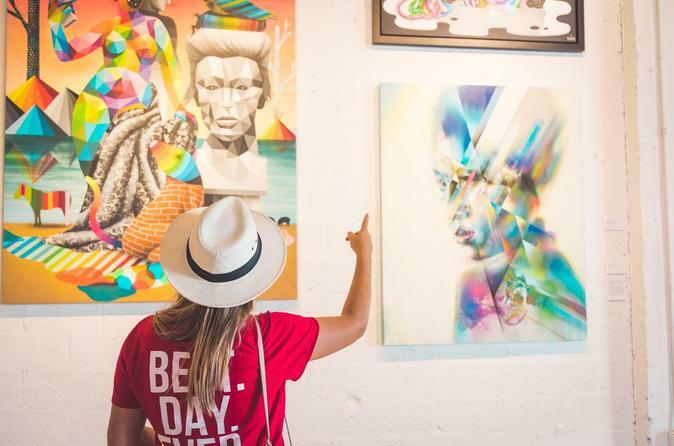 That’s what we thought, and that’s why you’ll love heading out on a Miami tour of the city’s iconic Wynwood neighbourhood, starring fabulous, famous street art. You’ll go off the tourist trail to see some of the more hidden murals by world-renowned contemporary artists. Along the way, enjoy a snack from a neighborhood favorite vendor, and visit two local breweries for a tasty beer at each stop. We'll bid farewell from there, but if you need any hot Miami suggestions for the rest of your stay, just ask.